Many magical moments have been enjoyed out on the golf course, from the coveted hole-in-one to some seemingly impossible putts! 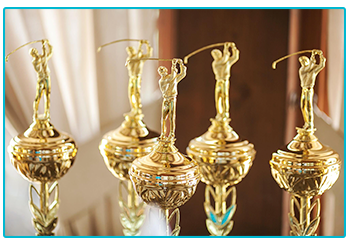 A golfing adventure could lead to some amazing memories and achievements! Making these moments happen isn’t just a job for the professionals, there have been some amazing golfing feats produced by everyone from first timers to PGA pros! Here at The Insurance Emporium, we love to see something special happen out on the course! That’s why we’ve put together this guide to some of the greatest golfing feats! Byron Nelson’s eleven in a row! Way back in 1945, Texan golfer Byron Nelson completed an almost unbelievable winning streak! Although he had a little less competition, World War II was still going on and had reduced the size of the field, Nelson took the year by storm and won eleven tournaments in a row! He ended the year with eighteen wins and the tour’s lowest year-long scoring average of 68.33 shots per round, all before he quit the game to become a rancher! In 2000, Tiger Woods was still solidifying his name as one of the greats of the game. Going into the season he’d already won two major championships but, over the course of the year, managed to win a further nine tournaments and three major championships! This season might have been the time when Tiger’s reputation rose to its highest, perhaps it’s not surprising considering he broke or equalled 27 PGA Tour records that year! In 1977, Al Geiberger was taking part in the Danny Thomas Memphis Classic when he carried out an amazing feat. The Colonial Country Club in Tennessee was the venue where Geiberger shot the first ever sub-60 round in the history of the PGA Tour. The course was a par 72 and preferred lies were in effect due to a harsh winter but this doesn’t take anything away from an amazing achievement! It took 14 years before it was matched again, by Chip Beck in Las Vegas! One in a 67 million chance! 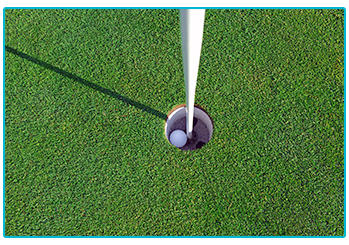 The odds are making two consecutive holes-in-one are said to be around one in 67 million, so it’s safe to say that it doesn’t happen too often! In 1971, at the Martini Tournament in Norwich, John Hudson did just that! He sunk a hole-in-one on both the 11th and 12th holes of the course, becoming the first player to do this in a tournament! As recently as 2014, 14-year-old Cale McLellan managed the same feat in San Jose. His odds as an amateur golfer? 156,250,000 to one! In August 2010, golfers Brian Boyle and Ed Streisel were partnered together in the Poconos Pro-Am Golf Tournament at Whitetail Golf Club, Pennsylvania. As Streisel measured up the ninth, he pulled out a seven iron and sent the ball straight into the hole. Not to be outdone, Boyle grabbed his six iron and, with the very next shot, landed the ball straight into the cup. The odds of two golfers on the same hole hitting holes-in-one immediately after each other were 17 million to one! These are just a selection of some of the most amazing feats that have been completed on the golf course; there have been plenty more over the years! Each time that you step out on the golf course, there is always a chance that something magical could happen! 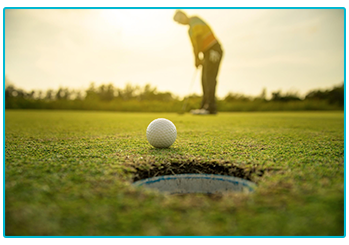 If you are planning on heading out for a round, you might want to think about getting some Golf Insurance to help protect you! At The Insurance Emporium, our Golf Insurance policies come with a 20% Introductory Discount* and include cover for Golf Equipment up to £5,000^! Head to The Insurance Emporium to find out more! ^Golf Equipment covered up to £5,000 on Lunar Monthly Portrush policies.